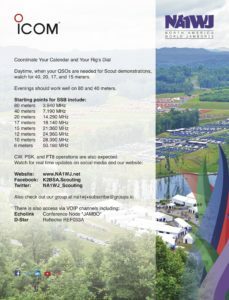 Not able to attend the 2019 World Scout Jamboree? The NA1WJ station consists of nearly forty staff members from around the world working a total of ten separate stations. That includes Icom IC-7300, IC-9700, and ID-5100A. Antennas include DX Engineering supplied Hex Beams and verticals as well as MFJ supplied dipoles, and JK Antennas yagis. 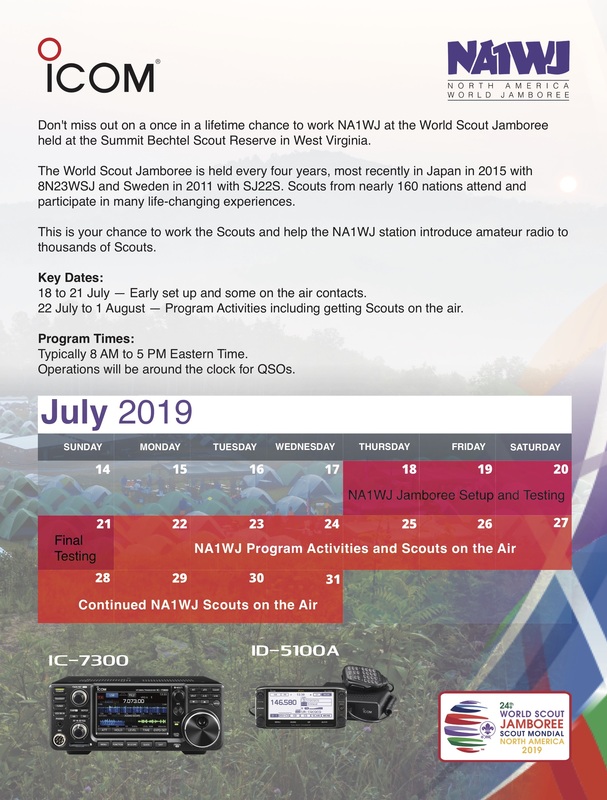 Here's how to engage with NA1WJ and Jamboree participants as well as Jamboree visitors via amateur radio during the Jamboree from July 21 to August 1, with setup operation beginning as early as July 16. EchoLink: Conference *JAMBO* (node 832996). Please plan to connect via *JAMBO* conference for best results. D-Star: WV8BSA, Module B, and Reflector 033A — note that during the Jamboree WV8BSA is locked to REF033A, the dedicated Scouting reflector, to avoid problems with linking and unlinking with each operator's preferences. CW: There will be limited operation on CW as time permits. See Scouting Frequencies. 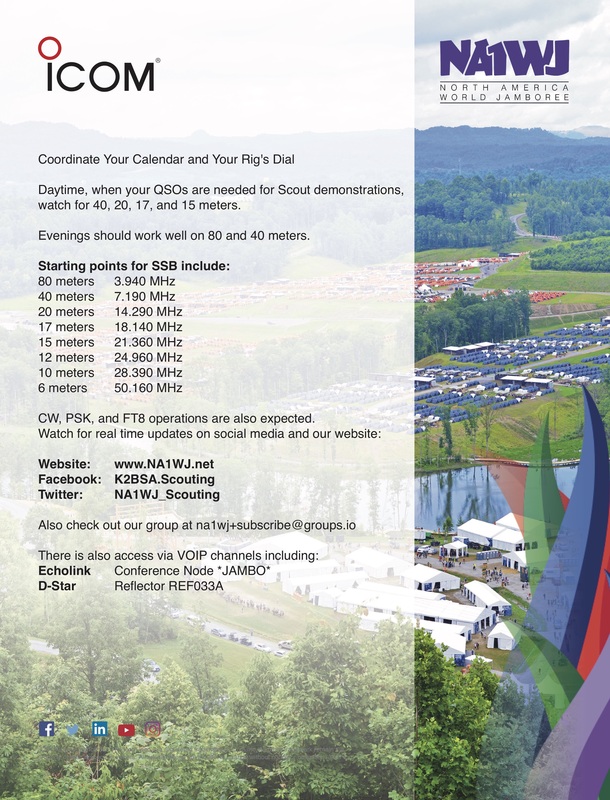 QSLs: The current NA1WJ Jamboree Logbook can be found at Jamboree Logbook. Times of Operation: The Summit Center is only open from 8 AM to 5 PM Eastern Time starting July 21 through August 2. We do plan to operate in the evenings to hand out as many QSOs as possible. Our demonstrations with Scouts will be happening in the daytime and that's when we need contacts. Are you planning to attend the Jamboree as a participant, staff member, or visitor? Here's how to engage with NA1WJ while on site. Be sure to stop by the NA1WJ location in the Summit Center — demonstrations for Scouts and ARDF-Foxhunting. Balloon launches are planned. An International Space Station Contact will be scheduled immediately prior to the Jamboree opening. Nightly nets on repeater frequencies at 7:30 PM Eastern.